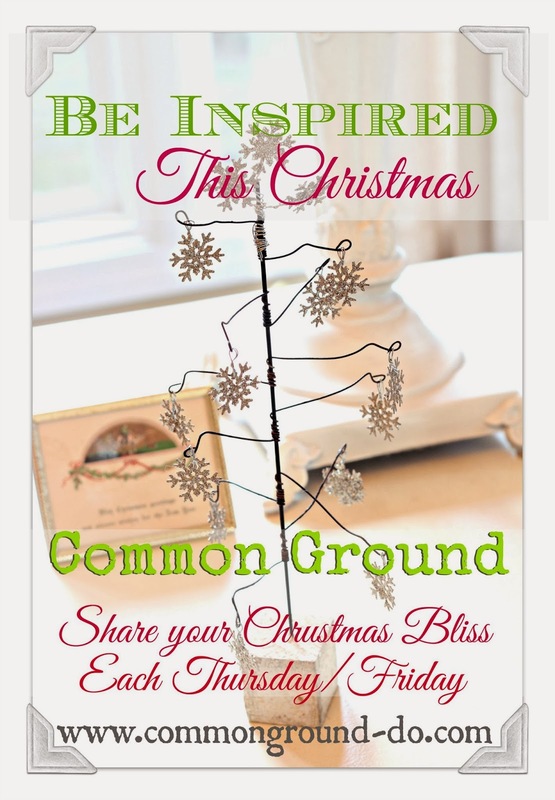 OK, my head is exploding from all the great Christmas ideas and inspiration! You all never fail to come up with the most amazing decor, projects, and displays for the Holidays. I could feature each one of you! (Be watching for Friday Night, as I share a few more features, I just couldn't get everyone in this post.) So here are just a few...I seem to be fixated on wreaths today. Take a peek at the fun from last week! signature "Green" as an accent throughout her spaces. Ornament Wreath using a variety of ornaments. now I think I could tackle it! Bella's Rose Cottage, what can I say? with the good advice of shopping for ornaments at Dollar Tree. Tissue Paper Wreath from Jacqueline at Cabin and Cottage. shared her Sugar and Spice Buffet with a Jam Cake recipe. then check out Penny's wonderful Pink Kitchen playground. And have you entered the Give Away yet? 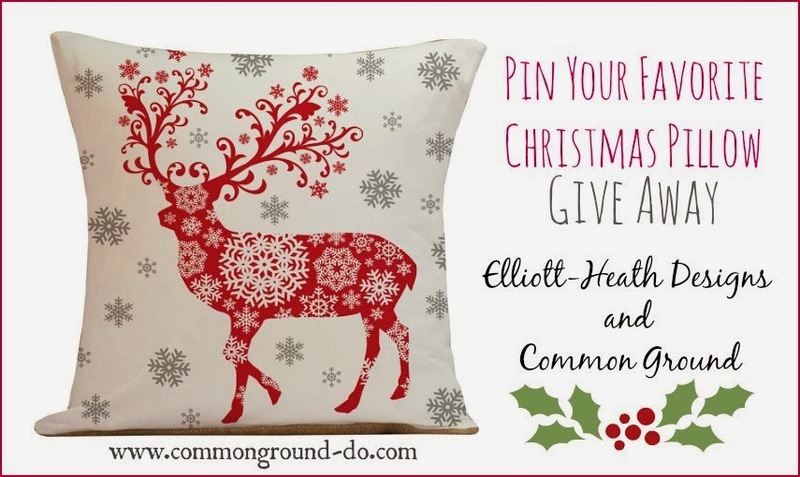 super easy and you get to choose your own pillow as the winner! but then you all know this stuff, already! so let's link up some more Holiday fun! I totally agree about our Inspired Heads Exploding - so much incredible talent and beauty to take in, WOW! Wonderful features Debra! 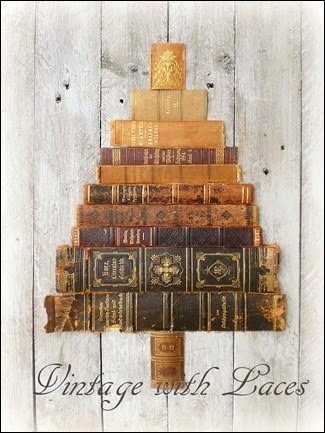 I adore the Book Spine Christmas Tree! Thanks for hosting! Thanks for hosting, Debra! Have a lovely rest of the week! Looks like your all done with your decorating and I'm almost there, so I better get back at it! Thanks for hosting. 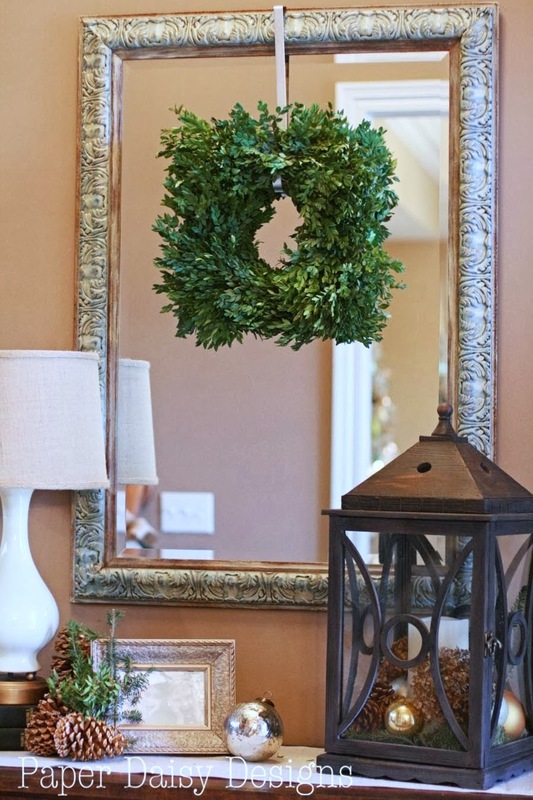 Thank you for featuring my ornament wreath! 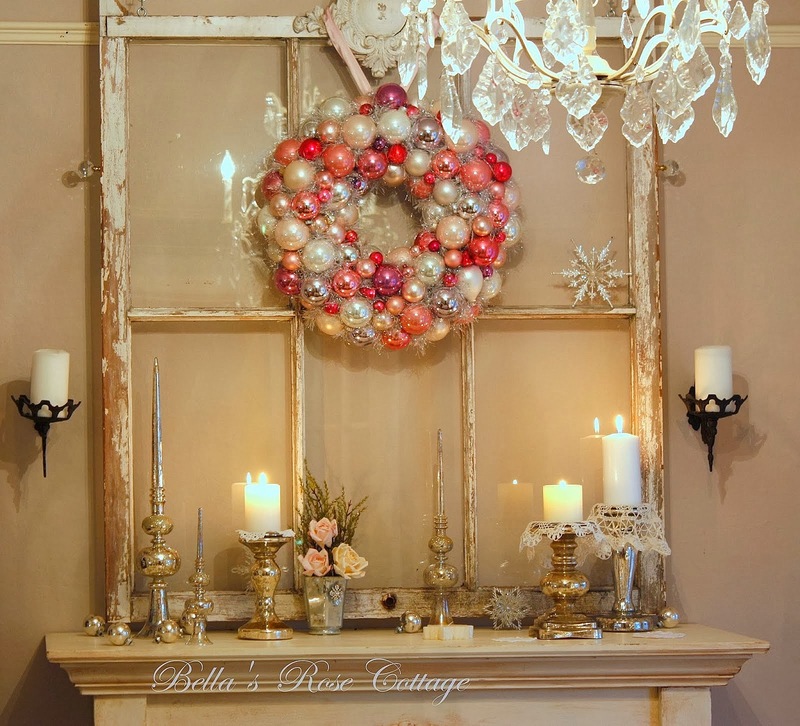 hi Debra, Love love love all those pretty ornament wreaths, expecially the pink one on the old window frame~thanks so much for having us, it's always magical all the ideas here! Debra, I love that you featured so many wreaths. 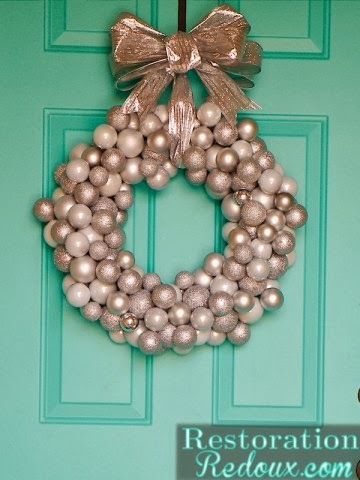 I LOVE wreaths and the creativity....so much so I have a Pinterest board dedicated to wreaths. Your home is gorgeous this year. What a delightful tour you gave us. Thank you!! Fantastic features, Debra. Thanks for hosting. Hi Debra, thanks again for hosting. I love Meg's industrial wire basket in the kitchen, and that tree made from book spines - who would've thought?! Wow! All of the links look like magazine features. So many beautiful Christmas looks to view. I can hardly get any blogging done for looking around! Thanks for the feature! Have a very Merry Christmas Debra! Your features are gorgeous Debra, so much inspiration! Thanks so much for hosting. Thank you for hosting, Debra! All beautiful features- but I always love Meg's style. :) Merry Christmas! Thank you so much for the party Debra! Super features and I'm with you lovin' those beautiful Christmas ball wreaths! Wishing you a wonderful weekend!!! Gorgeous grouping of features Debra! What beautiful features for the holidays--I love them all! Thank you for hosting the party, Debra. Thank you so much for featuring my book spine tree and for hosting, Debra! Thanks for hosting Be Inspired # 168 - love joining in. Have a great week Debra. So much inspiration...thanks for hosting! 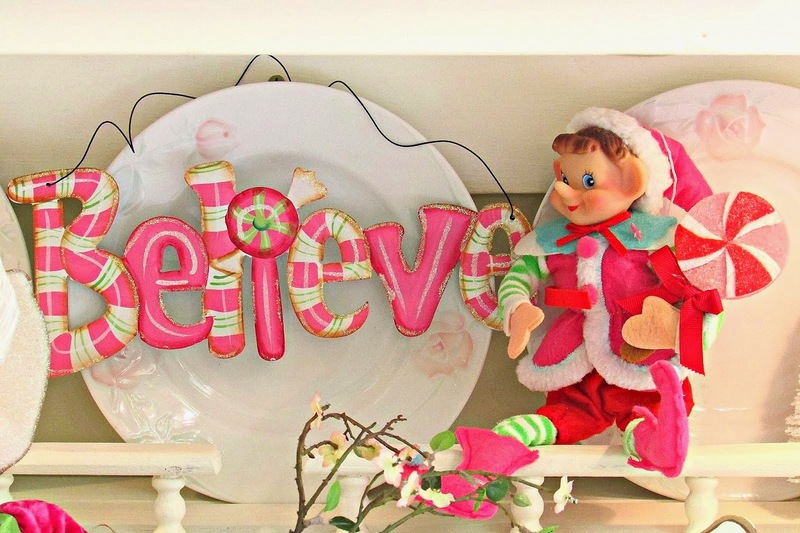 Loving all this Christmas inspiration, Debra. Thanks so much for hosting the party each week! Amazing features! I'll take 2 boxwood wreaths and Pam's cocoa station, please. My favorite by far is the book spine tree. I have been wanting that all week! Amazing talented bloggers @ Be Inspired Friday each and every week, dear friend!!! 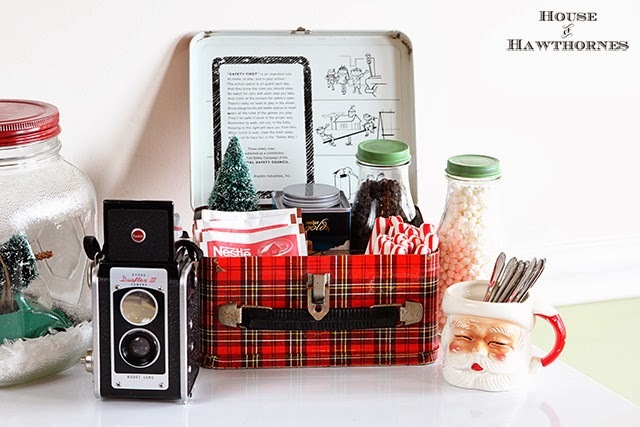 I had a red plaid lunch pail exactly like your featured guest...so I must go for a short visit!!! Oh my gosh, what lovely features. Thank you so much for letting me join in on the fun. Couldn't possibly pick a favorite from the features you selected this week. Love them all! Thanks so much for hosting and sharing such an awesome party! Love all the features! Happy Thursday! Hi Debra, What wonderful features this week! Thanks again for hosting. The Christmas spirit is alive and thriving here! Thank you for hosting. I'm so excited to see my cocoa station featured! Thank you, thank you, thank you! Love all the features, and your great party! Thanks so much for hosting! So many wonderful holiday decorations...thanks for hosting, Debra! Thanks so much for featuring my pics! 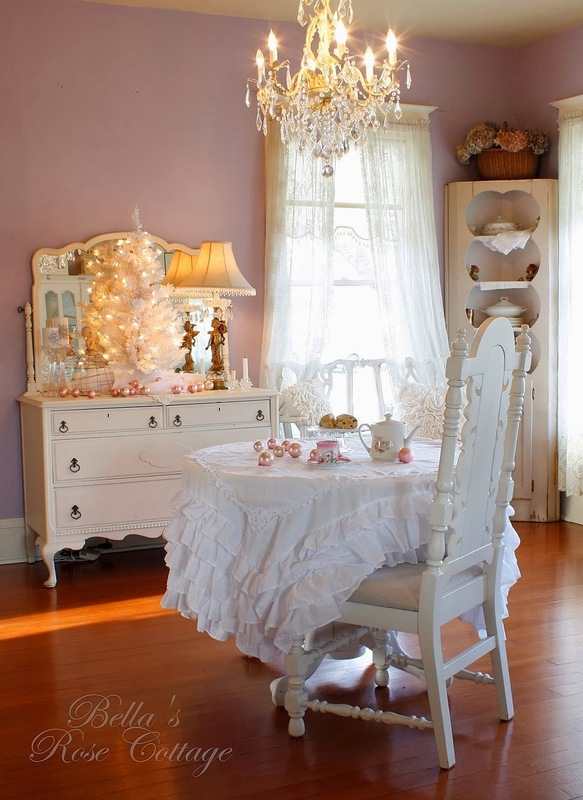 There is so much amazing inspiration here, don't you love blogging during the holidays! Thanks so much for being our hostess! So much things to discover ! so many wonders, and so interesting for me as a French girl ! Thank you for hosting my blog from PARIS ! So much wonderful inspiration, and so many great features, Debra! Thanks so much for the fantastic party every week! ...wonderful features full of inspiration dear Debra! Wishing you and yours a very Merry Christmas and the Happiest New Years! Thanx for hosting Debra! Beautiful features. LOVE your party Debra...the link ups are just the best and the inspiration is never-ending; true eye candy!! Thanks for hosting!! oh, look at all the fabulous christmas! thanks for the fun party, debra! have a great weekend! Joining late, thanks for the lovely party! A little late to the great party…loved all the features and inspiration!! Thanks for hosting Debra! Thank you for hosting this party of talented creators. I'm new here and grateful to be a part of this. Such fabulously creative ideas.....oh, how I love the Holidays! Thanks for hosting at this busy time of year and I hope that you are enjoying the festivities of the season! Thank you for hosting a holiday gala! Such fun, love all the gorgeous festive decorations.